Life water ionizers come with far more extensive filtration than all other brands of water ionizer. 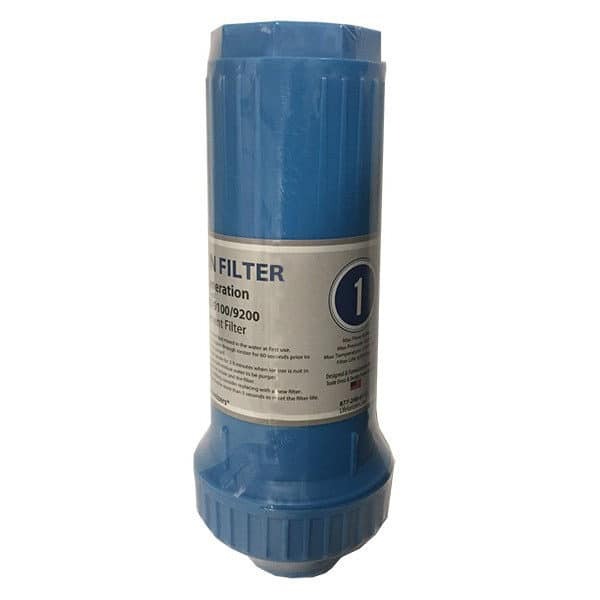 Every new Life Ionizer comes with a 3 filter customized filtration system that is configured by our technicians to filter the toxins found in your water. 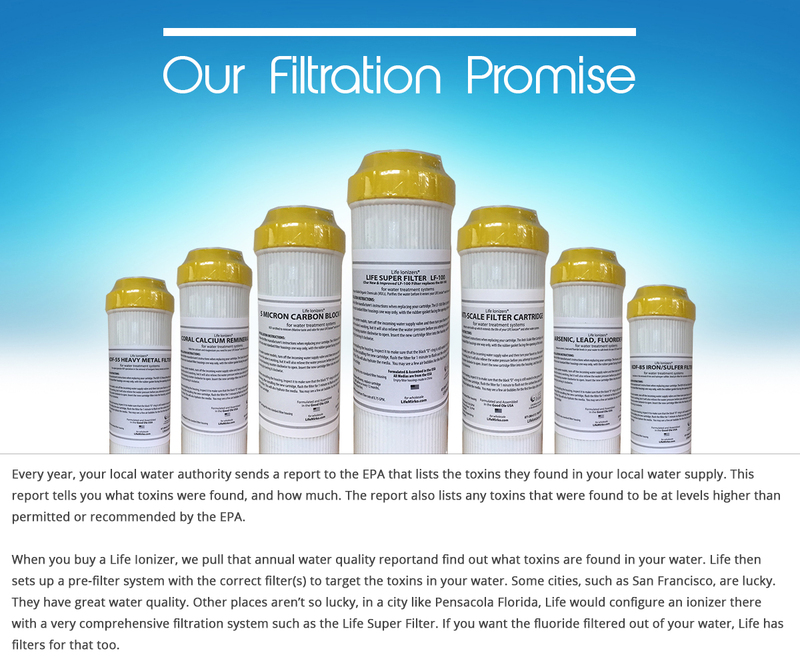 Life Ionizers is the only water ionizer that equips every new water ionizer we sell with the right filters for our customer’s water quality.